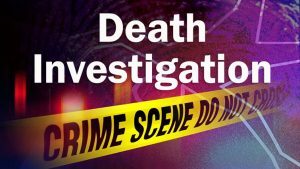 On Saturday, December 1st, 2018, approximately 4:46pm, Benton Police responded to 1300 Birch St. to investigate the report of a deceased male inside the residence. It was reported that Billy J. Lee, age 54, was found deceased in the living room of his residence by two of his friends. An autopsy is scheduled for Monday morning. Officer Trent Weaver is conducting the death investigation. Officer Weaver was assisted at the scene by Benton Police Chief Jeromy Hicks, Officer Ryan Moore, Coroner Michael Gordon, Deputy Coroner Curt Curtner, and Marshall County EMS. If anyone has information regarding this incident, contact the Benton Police Department at 270-527-3126.